Virtual reality may not be a new concept but the way it’s being used for marketing purposes is. 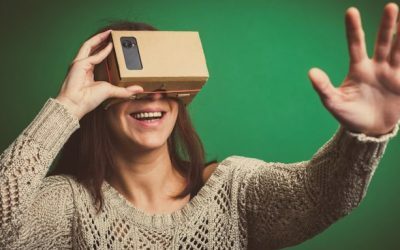 Adding virtual reality to your digital marketing mix is a great way to tap into your customers’ emotions by giving them the closest experience they can get with your product, service or place without physically being there. As a hotel or property developer in 2017 you cannot afford to miss out on the opportunities virtual reality presents for your business. In this two-part post, we’ll look at six ways you can add virtual reality to your digital marketing mix today. 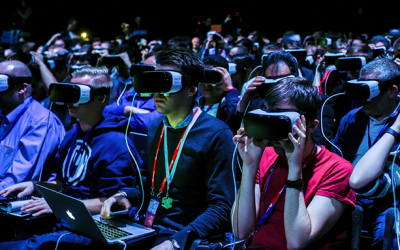 More organisations are realising the benefits of incorporating branded virtual reality experiences into their events. If your brand is sponsoring an event this is another way to get involved with the event rather than just putting your name on a shirt, a ball or some other disposable thing. Providing immersive VR experiences for your audience alongside events can deepen the brand engagement. 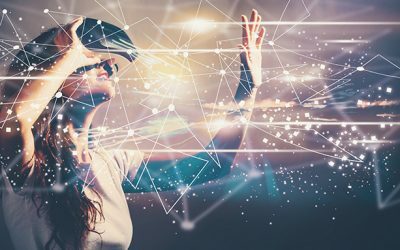 Virtual reality provides you with the unique opportunity to allow consumers to make informed choices by experiencing your product or service before making a purchase. As a hotel looking to draw in new business or promote your venue as a destination of choice for brides you need to be able to show your potential customers exactly what you can do for them. Investing in a new physical space or service offering is a huge undertaking, whether it’s a new store, a cinema or shopping centre. So being able to understand how your customers feel about navigating such things as your new planned layout, colour scheme and product range is vital which is where VR comes in. A full VR experience can give a much more holistic, accurate and compelling set of insights.